So I ave a confession to make, this time last week I’d never seen the Northern Lights. Growing up near Edinburgh it’s a bit too far south and often cloudy when there are solar storms. Nijmegen and Heidelberg are a bit too far south and as for Hawai`i forget it. 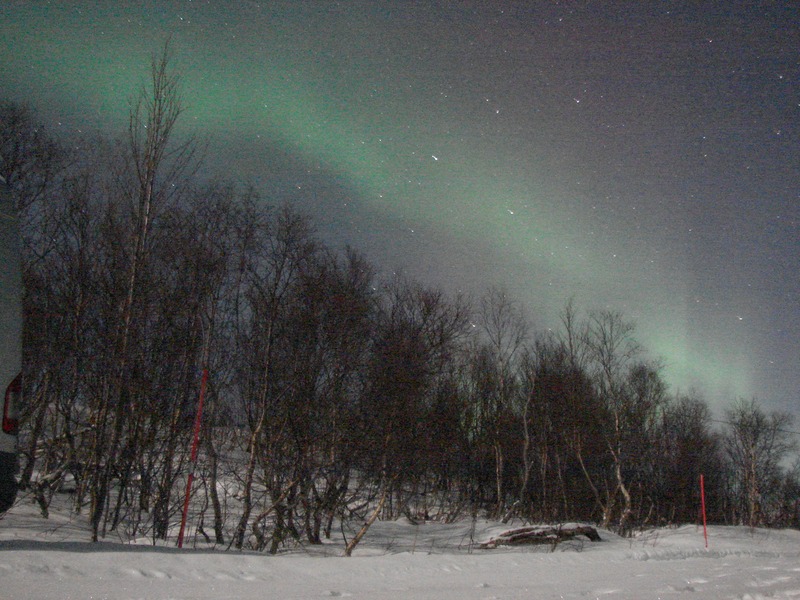 So a week ago, along with a few other astronomers (and an accountant) from Heidelberg, I set off for the Arctic Circle. 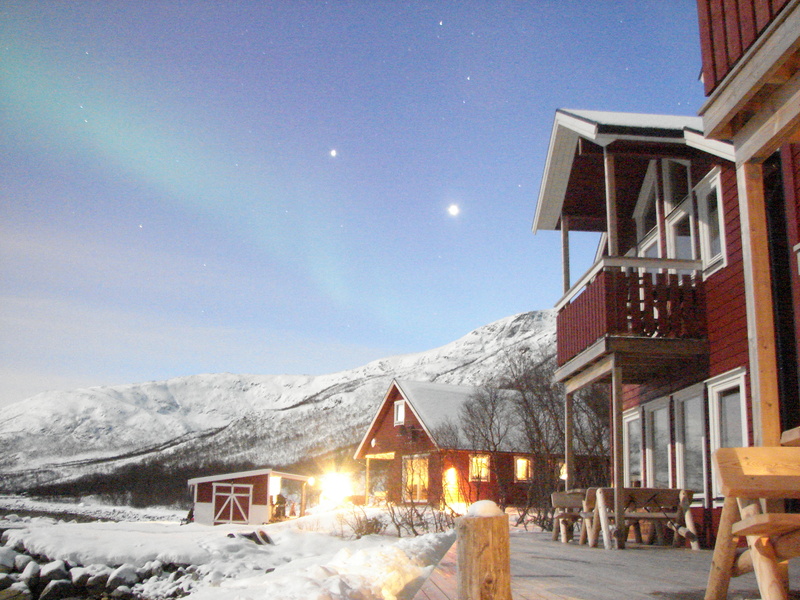 This sounds a lot more intrepid than it actually was, booking a flight to Tromsø and hiring a car. 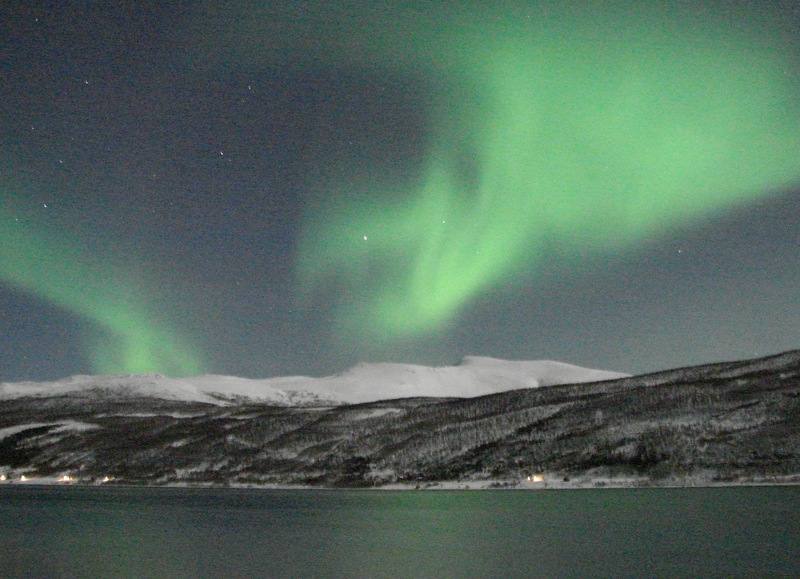 Anyway, enough about my jaunt, here’s some nice aurora pictures. I don’t have a fancy DSLR so I was using my Sony DSC-H2 which is apparently a “bridge camera”. Additionally the tripod is only a small pocket one so there is a small amount of camera-shake on some of the star images. 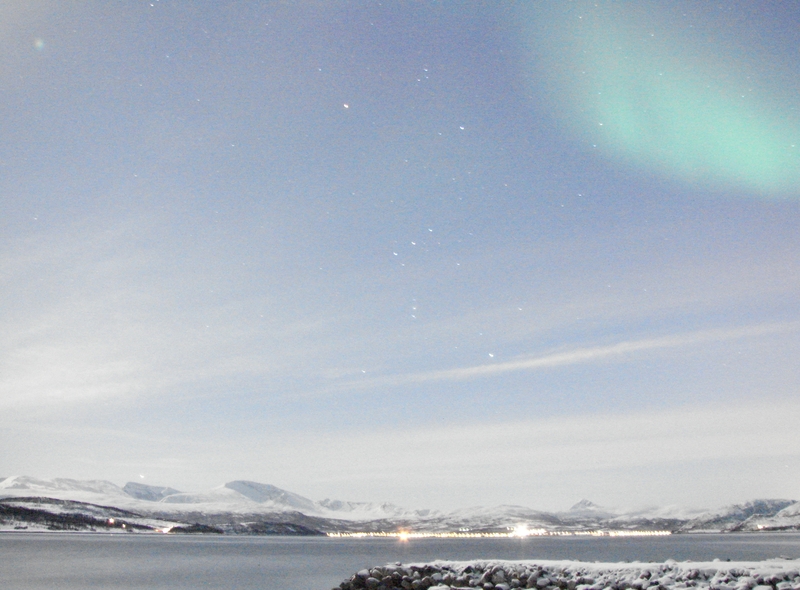 Shot over towards the next island in the Tromsø archipelago, the aurora appears to erupt from the mountain. And here’s a time-lapse of the aurora changing over about 5 minutes. Note the Pleiades star cluster setting in the background.